EIM Engine Info Page – Welcome to the EMIT Technical Forum! 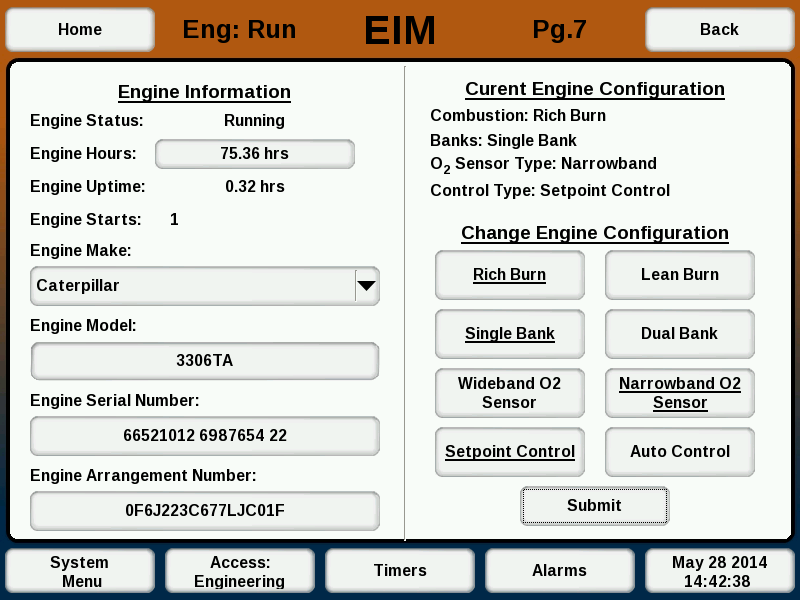 The Engine Info screen (Pg. 7) configures and displays engine specific data. The information is available for view in Operator security mode. To edit or modify any of the data, Setup or Engineering security mode is required. Engineering mode is required to modify the engine configuration. Engine Uptime – Displays the current uptime of the engine based on the run signal.